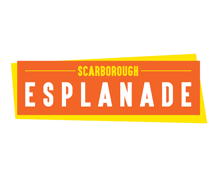 Welcome to the Scarborough Esplanade! Scarborough Beach is located approximately 16 kilometres from the Perth CBD in Western Australia and is one of the major tourist beaches in the Perth metropolitan area. Scarborough is a popular destination for family friendly entertainment and recreation for locals and visitors alike. Located on the beach foreshore, Scarborough Esplanade boasts a wide range of sit down and quick service food & beverage providers, a major hotel and some fantastic beauty & shopping offers.